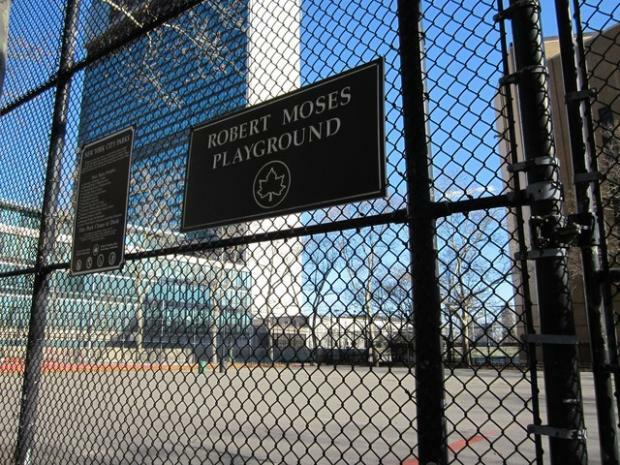 MANHATTAN — State lawmakers made the first move in a complicated and expensive deal — one that's been years in the making and would likely take years still to complete — to give Robert Moses Playground to the United Nations in exchange for a replacement park. The law, which was recently passed by both houses and awaits the governor's signature, would allow the UN to build a new tower on the 1.3-acre playground sitting just south of its headquarters between 42nd and 41st streets between the FDR Drive and First Avenue. But alienating the parkland — taking it out of the public parks system — is contingent on a memorandum of understanding with the city that is expected this fall. 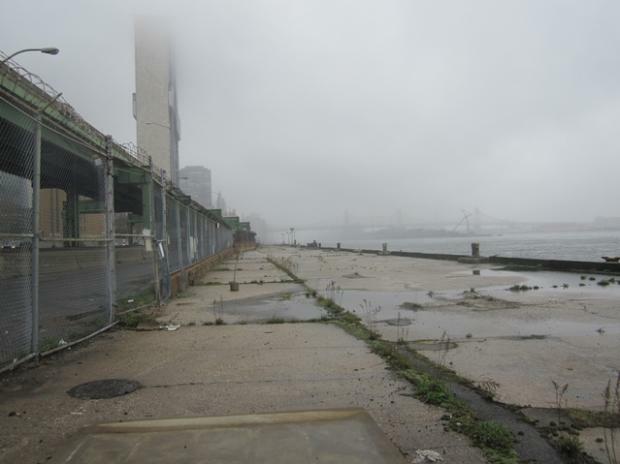 That agreement would identify another area for a new park and would also provide for the city to take control of a former Con Edison pier at East 38th Street to turn into new open space. It would also address the sale of two city-owned buildings across from the UN that are occupied by UN-related tenants paying well below market rates. The city would use money from the sale toward the costs of creating an esplanade along the East River that would fill the gap between East 38th Street past the UN to East 61st Street. Residents have been clamoring for a replacement park of the same size in the vicinity and an esplanade that would finally allow them waterfront access. They have been hoping to act quickly on this since there are some pilings in the East River left over from the State Department of Transportation’s FDR temporary outer-detour roadway. Using them for part of the esplanade, estimated to cost $130 million to $150 million, would save money. If the memorandum of understanding is not signed by Oct. 10, the bill to alienate the parkland will expire, said its sponsor, state Assemblyman Brian Kavanagh. "The statute we drafted and passed strikes a balance between moving forward with negotiations in a serious way, after many, many years of inaction," he said, "and still reserving our opportunity to negotiate on behalf of our neighbors on the East Side toward a deal that addresses community concerns and realizes the great potential for a series of projects that are truly in the public interest." Residents know the process will take time but are excited this step has finally been taken. "We're jealous of our West Side neighbors, but we'll have something great on the East Side waterfront," said Mark Thompson, chair of Community Board 6. "This is going to be a long haul project, but I'm optimistic." It will be a busy summer for CB6, filling out details to create the memorandum of understanding. "We're looking forward to exploring every possible permutation of what could happen and realizing the best outcome," Thompson said.